31 October 1517 is the traditional date of Martin Luther's Ninety-five Theses. His protest of the Roman Catholic Church soon became the Reformation we remember today. But what was the Reformation and why do we keep talking about it? Rev. Joel Kim has been speaking to this question for many years, with peoples from around the world. 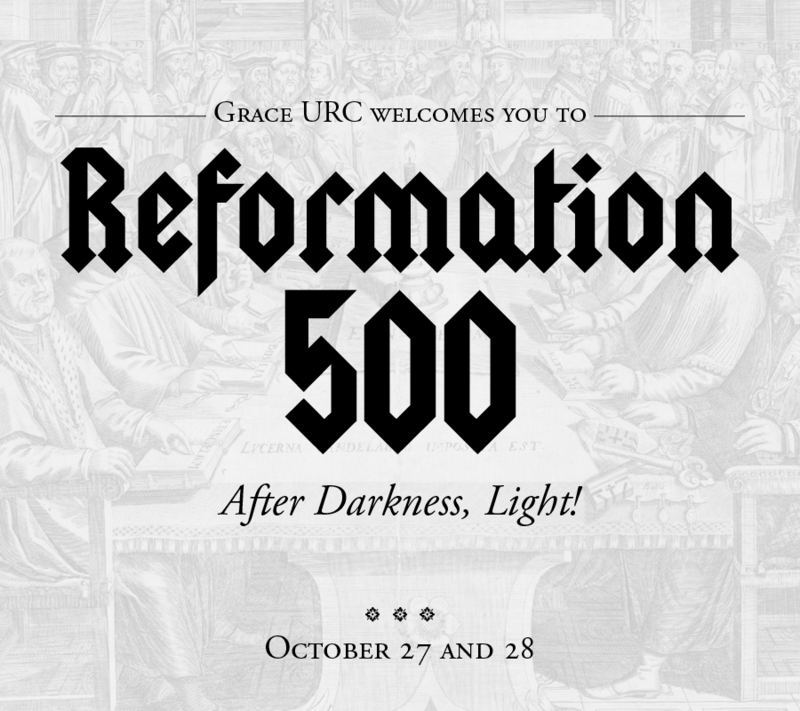 We are very excited to have him help us understand the global significance Reformation 500 years ago - and still today. Rev. Joel Eunil Kim has served Westminster Seminary California as Assistant Professor of New Testament since 2005. As a teaching elder in the Presbyterian Church in America (PCA) he and his family attend New Life PCA in Escondido after serving for a number of years at New Life Fullerton (PCA). He and his wife, Sharon, have two children. Having grown up in California, he attended the University of California, Los Angeles (B.A. ), Westminster Seminary California (M. Div. ), and Calvin Theological Seminary (Th. M.). His Ph.D. studies in Historical Theology were with the noted scholar Professor Richard A. Muller at Calvin Theological Seminary. Among his publications, he co-edited Always Reformed: Essays in Honor of W. Robert Godfrey (2010). He has served Reformed and Presbyterian congregations for over two decades. As the son of a Christian Reformed Church minister, he was catechized with the Three Forms of Unity from childhood. Born in South Korea, his family moved to Southern California when he was nine years of age, where he would learn English and retain his fluency in speaking the Korean language. He has served as a pastor in several churches in Southern California since his graduation from WSC in 1997, has taught in several theological schools, has served the global church—particularly in Asia—and has been active in the presbyteries and agencies of the PCA.